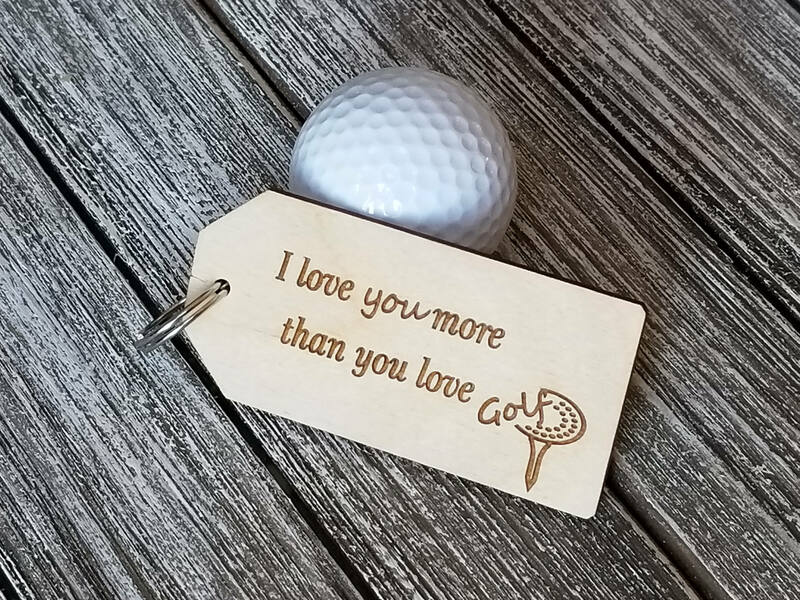 Looking for a special gift for the golfer in your life for Valentine's Day, his birthday, 5th wedding anniversary or the holidays? Our beautifully crafted and engraved key fob is a one of a kind gift. It will make a great key chain for his car keys, golf caddy, it can be used as a luggage tag, even as an ornament. Each ring can be custom engraved as per your request. 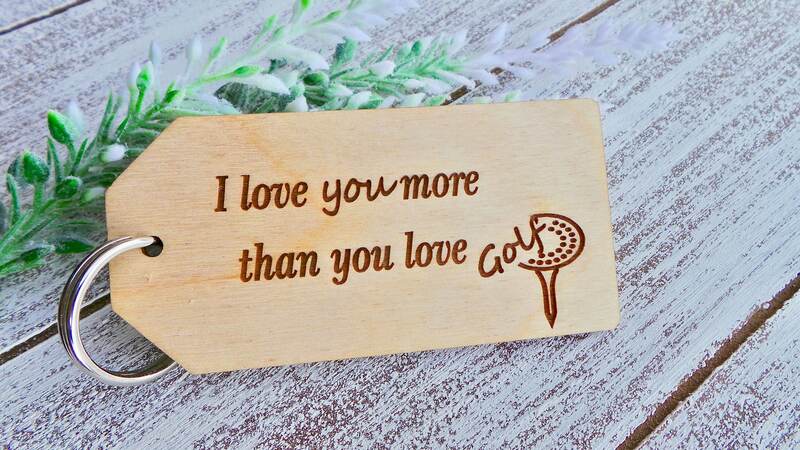 I love you more than you love golf. and on the otherside we can also custom engrave it for you. Each tag comes with a key ring.